I’ll show you in Part 3 how my system, which primarily uses Google Calendar, is sort of a mish-mash of both systems and concepts. I tweak my system fairly regularly – but only slightly. Below are some systems that have informed my current time and task management. My old boss at Wellpoint/Blue Cross of California LOVED the technical solutions I created. She hated my often fragmented mode of operation. She bought me a Franklin Planner and sent me to their day long time and task management course. I LOVED IT! I still do. 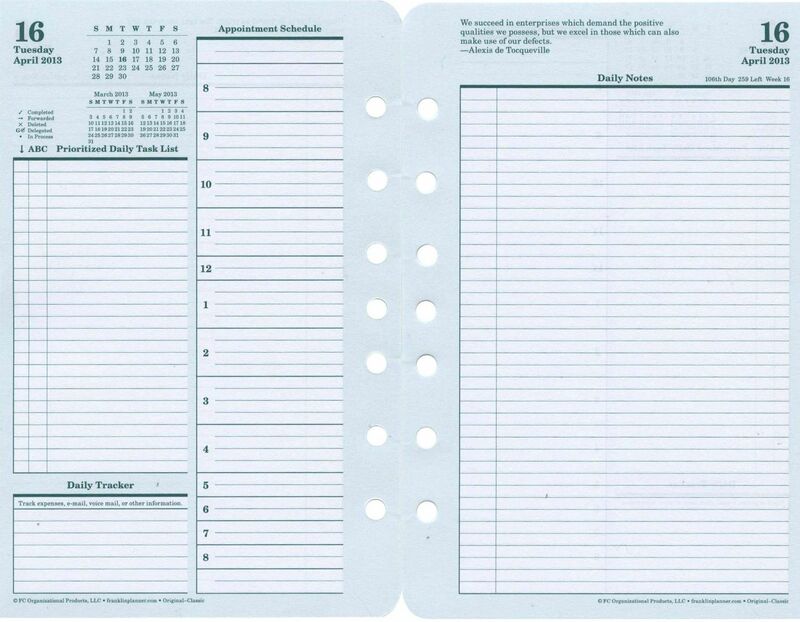 They taught me about moving tasks and information forward on your calendar so that you could forget about it until you needed to. I don’t use a Franklin Planner any more. But much of what I do is still based on what they taught me. The Pomodoro Technique is about intense focus on a given activity. If we stick to what they teach, 25 minute increments, the idea is this…. typically, most people experience maximum productivity early in the day. It generally tapers off over the course of the day. Also, tons of external influences – text messages, emails, social media, etc. distract us during project activity. The Pomodoro Technique has you focus on intense, uninterrupted (all distractions off) activity for 25 minutes at a time. Then you take a break – 5 minutes. In a sense this serves as a reset, keeping your mind fresh. I don’t adhere to this precisely – when I get into a morning writing zone, I may write for 2 hours straight. When I get into that writer’s trance, I don’t want to break that zone. But, taking a break – completely – from intense activity and then coming to it new for a limited duration tricks your mind into that sort of morning focus. Limiting the time of those periods reduces burnout. Try it. 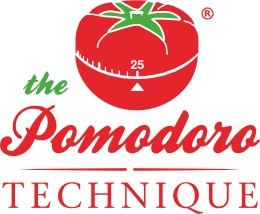 They sell Pomodoro timers on the Pomodoro site, but I use my Android’s timer. Merlin Mann gets mentioned twice (See: Inbox Zero below). His site 43Folders.com covers life-hacking, creativity, technology, projects, etc. 43 Folders is largely based on David Allen’s Getting Things Done. At the start of a given month, let’s say June…. the June folder is in the front and it contains all 31 day folders. (Yes. I know that June only has 30 days). As a given piece of paper or task comes across your desk, you determine where it goes. If it requires action, you put it into the date on which that action must start. If that is June 10th, you drop it into June 10th. It will remind you to start taking care of that project on that day. If something is a task you must start in a later month, drop it into one of the later month folders. As days pass, you move each day of the month to the next month’s folder. At the end of the current month, the next month’s folder will contain all 31 day folders. For instance, today is June 9th. So July’s folder would have days 1-8. At the end of today, I’d move the folder for day 9 into July’s folder. I already mentioned Merlin Mann in Part 1 and 43 folders above. I’m sort of a fan, I guess. The idea is that every day your inbox should be down to zero items. No unread messages. Everything is handled in one of the following ways. You can delete many more emails than you believe you can. Learn to do that quickly and save your sanity. Avoid complicated taxonomy: don’t create a bunch of email folders. Simple archive those you need to keep. You’ll find them through searches more effectively. Use filters if you MUST have complicated taxonomy/folders. Complicated to do and project systems are probably over-kill. Text files can work wonders (or Google docs as we’ll find out). This isn’t an exhaustive list of systems or big concepts; but these ideas definitely show up in my time and task management system. Do you have a favorite system or systems? Let me know in the comments. Posted in career development, Coaching, Information, Leadership, Tools. I thought that this was a very interesting article and I like The Pomodoro Technique. After looking over the website and learning how the technique works I think that I might try it and the Pomodoro Technique Timer App that it offers (the free one) for your phone/tablet is nice too. I find that giving yourself 25 minute increments to complete a task and taking 5 minutes in between to keep your brain fresh is an excellent idea. I find that I usually want to push through doing projects for school or where my entire room is so disorganized (papers, folders, and everything are just scattered everywhere) I need to knock everything out in one day, I’m like you when you’re in your writing trace (and don’t want to break that zone). So, I really need to see if this will help me perfect myself in these areas. Also, the Website 43folders.com is pretty cool as well….. Thanks Matt. Thank you Kenya. I really am enjoying the Pomodoro technique or my variation. I’m simply using the timer app on my android at this point. Also, I do longer iterations early in the day.